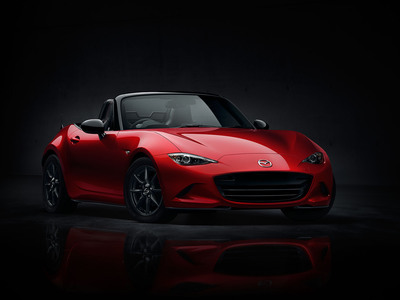 The new 4th Gen Mazda MX-5 was officially unveiled yesterday while all-time production of the iconic model hit 940,000 units world-wide. 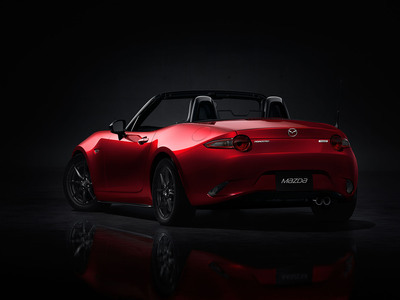 Built on a SKYACTIV platform, the new aggressive MX-5 will be shorter, lighter and wider than the outgoing model. The engine will be positioned further back and lower to the ground to improve weight distribution and achieve a low center of gravity point. Mazda did not release any tech specs at this time, but according to trusted sources, the new model will come with two engine options, both 4-Cylinders. 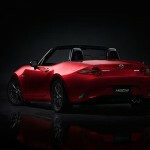 The entry level model will be a 1.5L unit that will produce about 140 BHP, while a 2.0L unit will punch out 180 BHP. 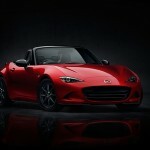 The MX-5 remains rear-wheel-drive, will initially come with a soft top and later on get a hard top. More to come early next year, when the model will be available in the Canadian market.